Dallas is a wonderful place to live. It’s a sprawling city with plenty of neighborhoods to choose from that are filled with people of all walks of life. The many tourist attractions in the area make for a thriving local economy. On top of that, there are lots of employment opportunities here, serving at the headquarters for the stomping grounds many corporations. Whether your move to the Big D is for business or pleasure, you’ll find a healthy housing market with homes in varying price ranges, and suburbs with excellent school districts. There are a lot of aspects of living in Dallas that you could argue are typical for any major city, there are a few things you’ll want to know as a newcomer. Sure, you’re moving to Texas, but that doesn’t mean you’ll be in the thick of the desert all the time. The Dallas area actually sees a range of weather patterns, even including the occasional winter snowfall. It is typically warm and dry most of the year, but the summers are exceptionally hot and humid, much like the states directly to the north. The springtime will mean severe weather alerts, including hail, lightning storms, heavy rainfall, and most notably, tornadoes. You’ll be living right on the edge of tornado alley; the threat of tornado devastation is a real possibility. If you’re a fan of professional sports, you’re in luck. There’s no shortage of it in these parts. The Dallas Mavericks dominate the basketball court at the American Airlines Center; the Dallas Cowboys toss the pigskin at Cowboys Stadium in Arlington, and the Dallas Stars own the ice at the American Airlines Center. The Texas Rangers play at Ameriquest Field in Arlington, a short stone’s throw from Cowboy’s Stadium. The major league soccer team, the Dallas Burn, plays at Toyota Stadium in the suburb town of Frisco. As you can see, we take our sports teams very seriously here in Dallas, and there are plenty of teams to choose from. If professional sports isn’t your thing, well, at least you’ll know when to watch out for heavy traffic. The City of Dallas requires all pets to be registered with the city. At first it may seem like a hassle, but you’ll find that it’s really to your benefit. If your pet is picked up by members of the animal control department, and he’s wearing his registration tags, you’ll have the chance to pick him up within ten days. The cost to register a neutered or spayed animal is $7 if they’re younger than six months. If you haven’t spayed or neutered them, it will cost $20. Registration is discounted for pet owners age 65 and over. It’s $7 for those individuals. As with most cities, there are leash and waste conduct in place city-wide. Lots of major American cities have suburbs that serve as sort of bedroom communities for the city. But Dallas is different. If you’re looking for the perfect combination of cozy living with big city conveniences, look no further than the comfortable Dallas suburbs. New homes in Allen, Texas, are popping up everywhere, and make for a great nest egg for budding families. Allen, Texas, is one such suburb. It offers an impressive school system that recently built a $60 million athletic stadium that attracts up to 18,000 people each fall. The school district has a great reputation, and the town has lots of resources to offer its residents, including extensive shopping and entertainment options. It was even listed as number 13 best place to live by CNN Money in 2012. 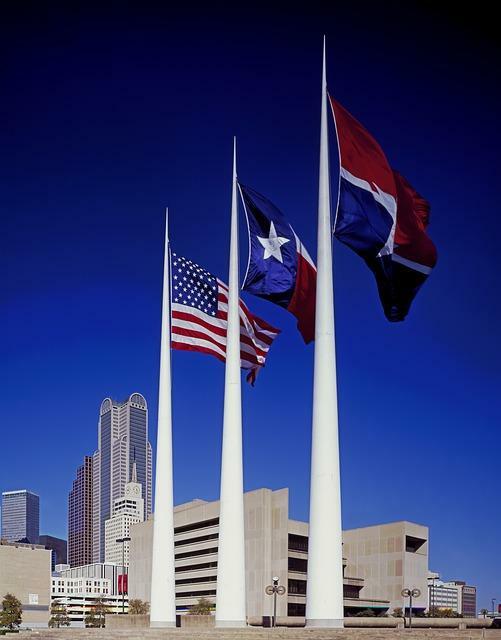 The Big D is an exceptional metropolitan area that you’re going to fall in love with in no time. Whether your move is prompted by business, family, or pleasure, you’ll undoubtedly find what you’re looking for. It won’t be long before Dallas, Texas truly feels like home for you and your family. Have you ever been to Dallas? What did you think?